Three college campuses found anti-Semitic fliers blaming Jews for the opposition to Supreme Court Justice Brett Kavanaugh, the Jewish Telegraphic Agency (JTA) reported. The fliers were found at Vassar College in New York state and the Davis and Berkeley campuses of the University of California. "Every time some anti-white, anti-American, anti-freedom event takes place, you look at it, and it’s Jews behind it," the posters read. The text was accompanied by caricature drawings of Jewish U.S. Senate members, Christine Blasey Ford, Michael Avenatti and George Soros, who features prominently in right-wing conspiracy theories and has been accused, without proof, of funding demonstrators protesting Kavanaugh. The lawmakers had Stars of David drawn on their foreheads. Ford, who accused Kavanaugh of sexual assault, and Avenatti, who represents adult film actress Stormy Daniels, had "Good Goy" written on theirs. "At this point, the police are investigating. There were three fliers. 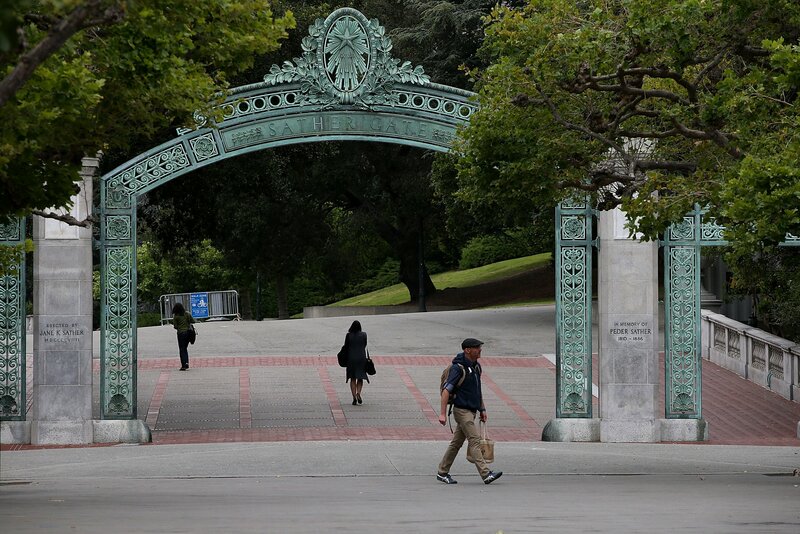 One was found off campus, one was found on campus and one was turned in to the police station," Director of News and Media Relations at University of California, Davis, Melissa Lutz Blouin told Newsweek. "The message on these flyers is reprehensible and does not represent who we are as a community. In addition, the person or person responsible violated our posting policy," UC Davis Chancellor Gary S. May wrote in an email sent to the university community on Monday afternoon. "Our Principles of Community expresses our dedication to mutual respect, understanding, compassion and caring for everyone, regardless of their religious affiliation, culture, ethnicity or gender. I ask each of you to uphold those values." The fliers said they were posted by "your local Stormer book club," which the Anti-Defamation League (ADL) describes as "small localized crews of young white men who follow and support Andrew Anglin and his neo-Nazi website, The Daily Stormer." Anti-Semitic hate crimes rose 57 percent in 2017 to reach the highest level since 1994, according to the ADL. The organization recorded 1,986 anti-Semitic incidents last year. On Monday, swastikas were found carved into a wooden bulletin board at Sacramento City College. Less than a week before, racist graffiti was discovered in one of the college's campus bathrooms, according to CBS Sacramento. Anti-Semitic fliers were found last month near five San Francisco-area synagogues, the JTA reported. "The Jews came for the Daily Stormer, and I said nothing...they are coming for YOUR free speech next," the fliers said.